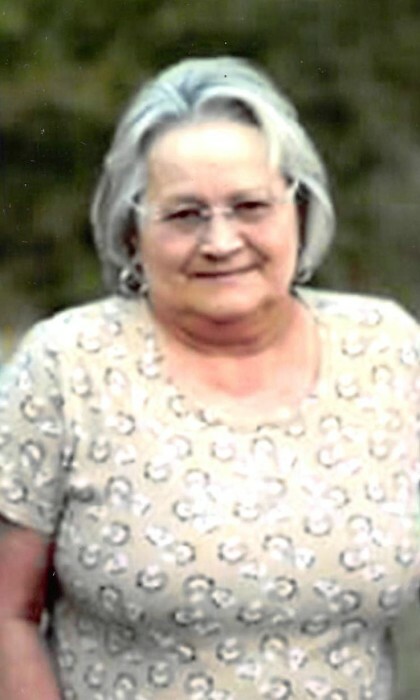 Mrs. Katherine D. Garrett Benefield, age 63, of Buchanan passed away on Wednesday, August 29, 2018. Mrs. Benefield was born in Austell on September 13, 1954. She is preceded in death by her husband William Ricky Benefield, one son Scott Charles Malone and her parents James Edward Garrett and Lois A. Harrison Garrett. Survivors include three sons, Terry Lee Garrett of Jefferson, Jamie Malone of Felton and Bobby Malone of Felton; one daughter, Logan Hope Malone of Felton; one step son, Eric Benefield of Felton; one brother, James William Brown of Atlanta; two sisters, Helen Sears of Waco and Shirley Sanchez of Cedartown; two grandchildren, Kristen Garrett and Tyler James Garrett and two great grandchildren, Baylin Mulky and Kris Mulky. Funeral service will be Saturday, September 1,2018 from Hutcheson’s Memorial Chapel at 11:00 AM. Interment will follow in Bethlehem Baptist Church Cemetery. Family will receive friends at the funeral home on Friday August 31, 2018 from 5:00 PM until 7:00 PM. Hutcheson’s Memorial Chapel has charge of the arrangements.